As we celebrate 27 years of creating our annual Starlight Santa, we’re pleased to be introducing an American style Santa in chimney. While the shape is reminiscent of the traditional American Santa Claus, there is a hint of European—mostly Scandinavian—flare with the Santa’s coat color. Since 1990, the annual Starlight Santa has been painted in limited quantities with a portion of the proceeds benefiting UMass Memorial’s Children’s Medical Center’s Child Life program—dedicated to improving the quality of life for children undergoing medical treatments. The pieces are painted up until Christmas Day before being retired never to be produced again. 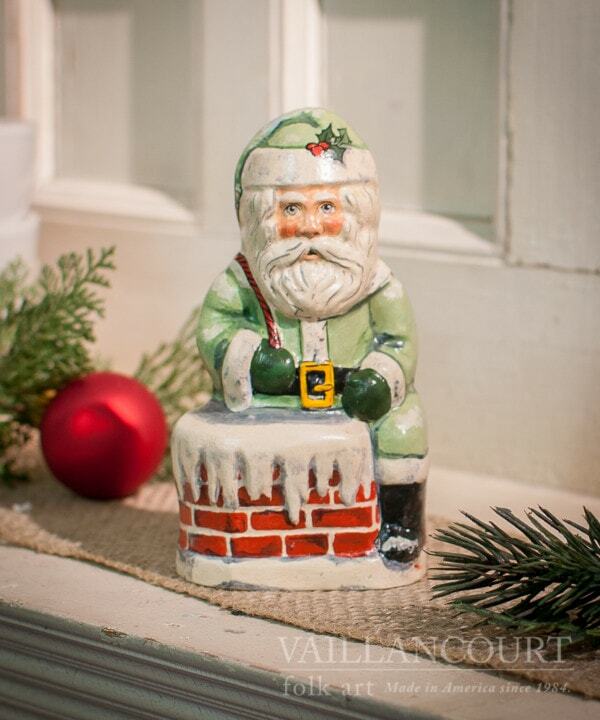 As we celebrate 27 years, we hope that you enjoy the traditional nature of the American Starlight Santa in Chimney.